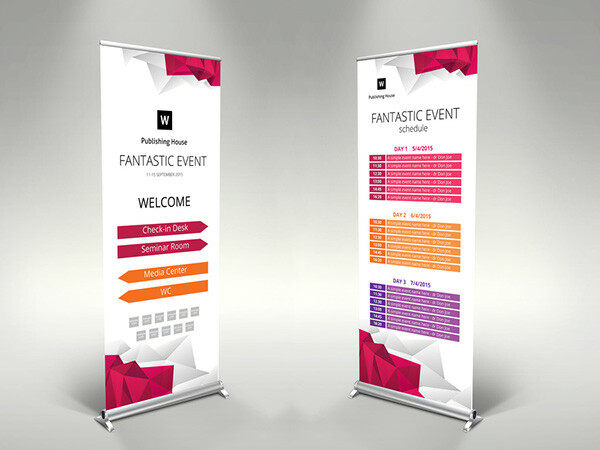 Want to avoid the hassle of setting up and putting down banners for your events, trade fairs, and exhibits? 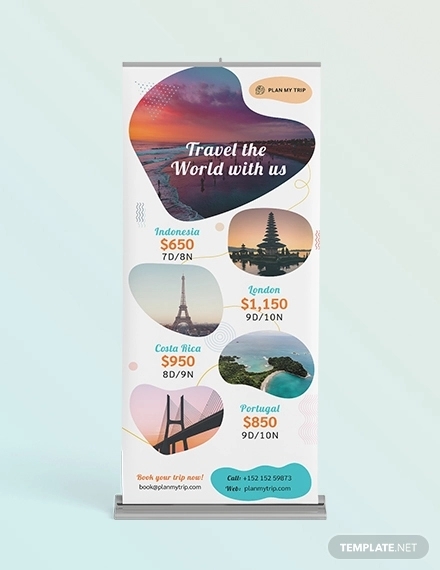 Roll-up banners are what you just perfectly need. 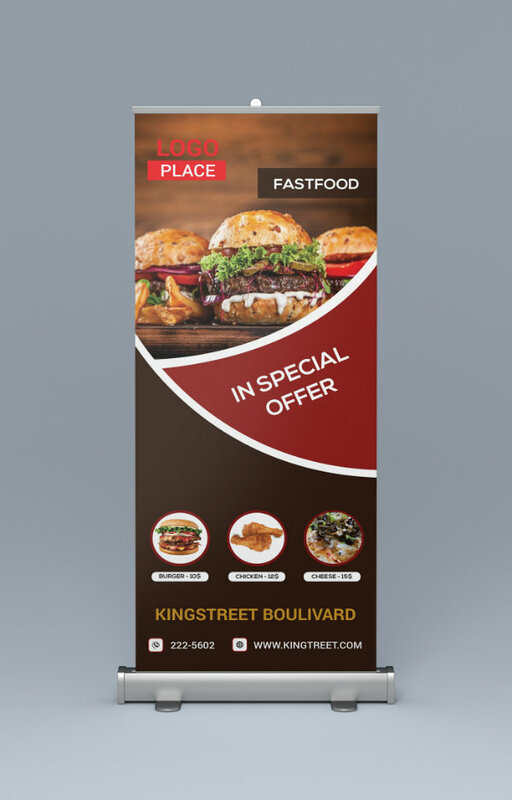 These are among the marketing materials that are preferred by many companies, business, and marketers because aside from the convenience that they provide in setting up and putting down, they are easy to carry, they are usually less cheap compared to the other types of banners, and they can easily be designed and printed. Hence, they are the solution if you lack time in the preparation for creating your banner. They can perfectly live up to your expectation of displaying a good-quality presentation as well as providing you the convenience that you need especially if you are in a frantic situation such as holding bazaars and expositions. 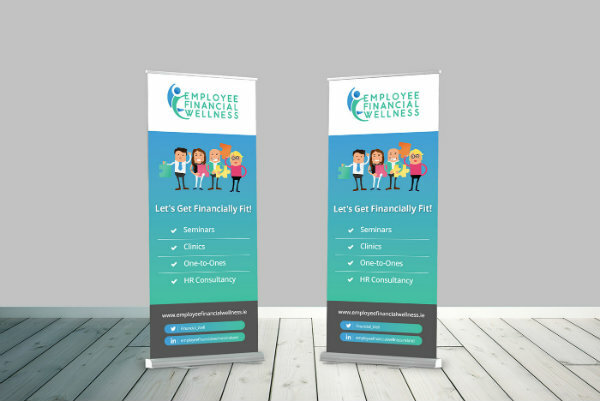 In this article, provided are the examples of roll-up banners that you might just need. 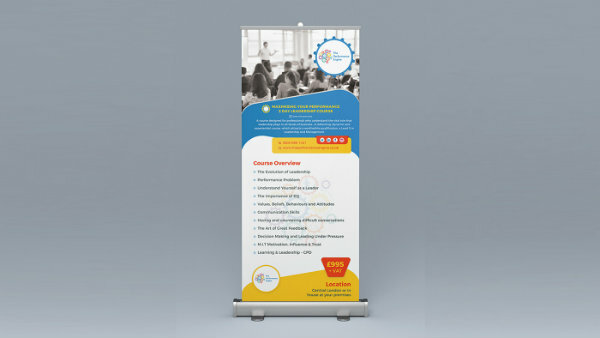 For more roll-up banner templates and examples, you may refer to Template.net. 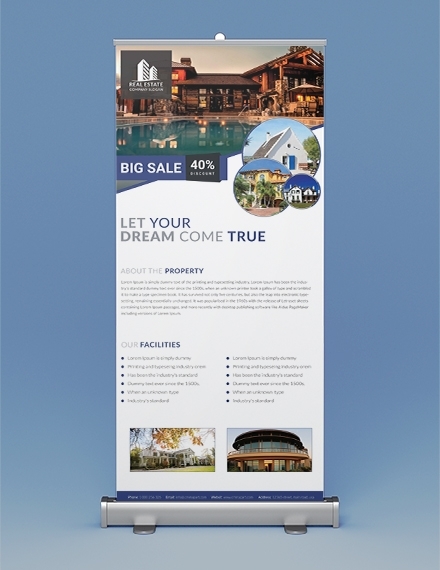 Photos are the elements in your roll-up banner that would primarily catch people’s attention. As most of the population are highly visual, they tend to rely mostly on the images that you include in your banner. Your photos must not just be any photos, but they must be presentable, related to your content, and most especially, of high quality. In your banner, you must always bear in mind to include your branding. Even in all your other marketing materials, you must incorporate consistently your branding for this is a way of letting the people be familiar with your products and services as well as your company. Branding is important so you can establish your name in the industry, making it credible and reliable for your customers. You must not forget to include the key features of your products and services—your value proposition. This must be something that communicates to the potential customers the reason why they must choose your offered products and services and what problems your products and services can solve. Another key element that you must include is the limited-time offer. Marketers perfectly know that people will easily get interested on offers that would give them the benefit of saving a certain amount from their purchase or paying the same amount but they are getting more items or goods. While these offers are too interesting for the customers, you need to nudge people to buy immediately while your offers last. You must set a specific deadline for your offers so that people will take action immediately. Lastly, a call-to-action is needed in order for the person to move now and proceed to the next step, which is accepting the offer. Your call-to-action must specify what the customer must do next in order to order or purchase the product of avail the services. 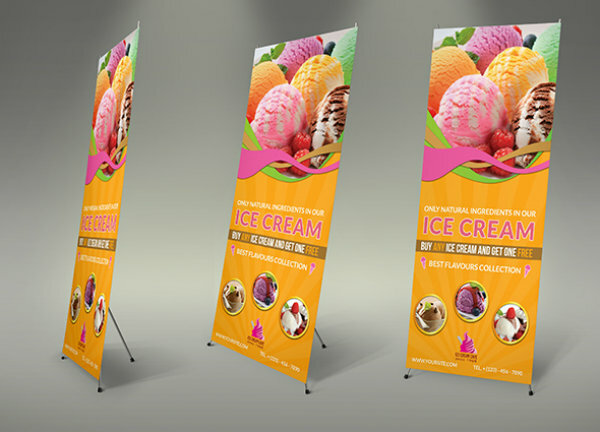 Here are the simple steps in designing a roll-up banner. The first thing that you must decide is the central point of your campaign. This will also be the start where you generate your ideas and concepts. Then, you must know and understand for whom is your offer—your target market. Your target market or your audience must be clearly specified in order for you to know that certain problems that your markets are facing for you to solve through the products and services that you offered. Write anything that you want to include in your marketing campaign from the very broad ideas down to the very detailed one. Delete the ideas that you find irrelevant to your main point and assess whether your ideas are complementing with each other. Choose a format that is perfect for marketing and that would amplify your marketing message. 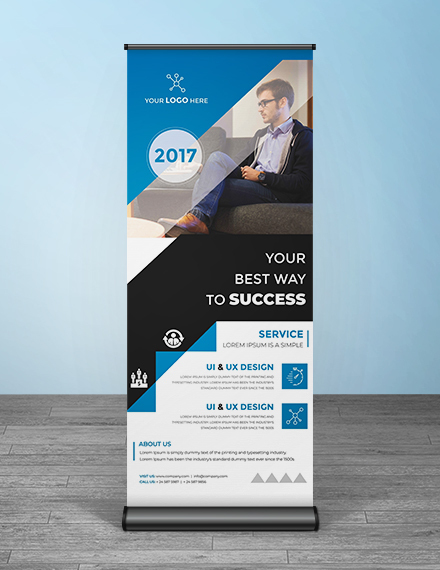 This includes the proper positioning of the elements of your banner. Then, incorporate the design your have in mind and make sure that they all go together without overstuffing. 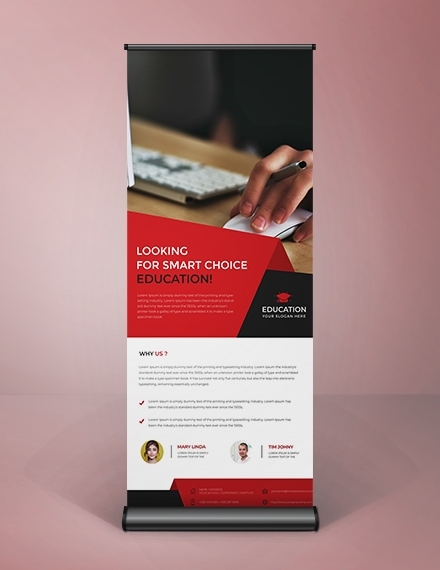 Lastly, have a final check for your design, the layout, the photos you placed, the fonts you used, grammatical and spelling errors, misplaced graphics, and everything that concerns your banner before sending them to print. 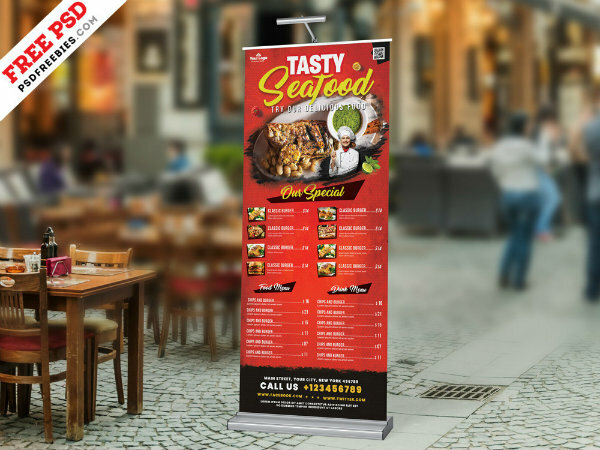 Feeling like your designed roll-up banner is not effective enough to reach your target customers? 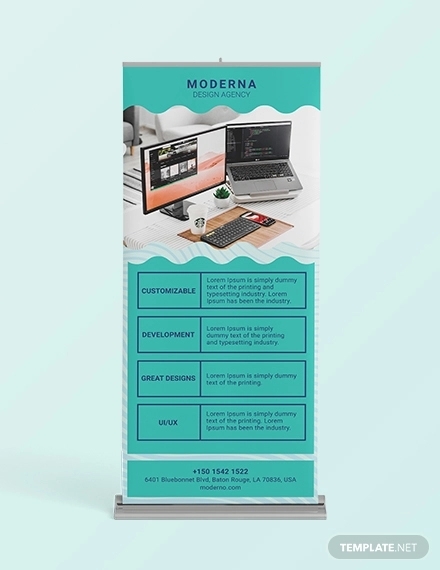 Here are some important tips for you in designing your roll-up banner. As people walk past by your banner, after their eyes are caught by your graphics and colors, the first thing that they would read is your header. 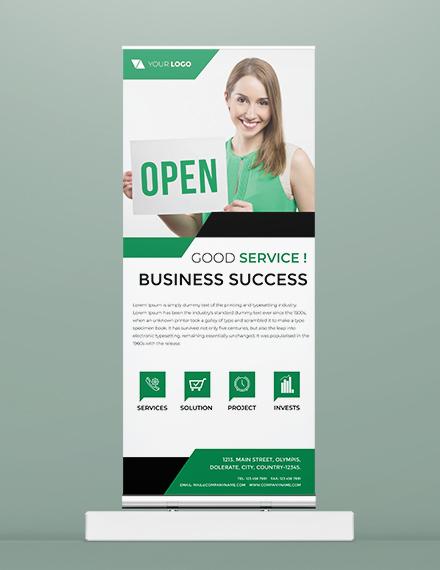 The top portion of your banner is very crucial since that is the first point where people’s attention will go. 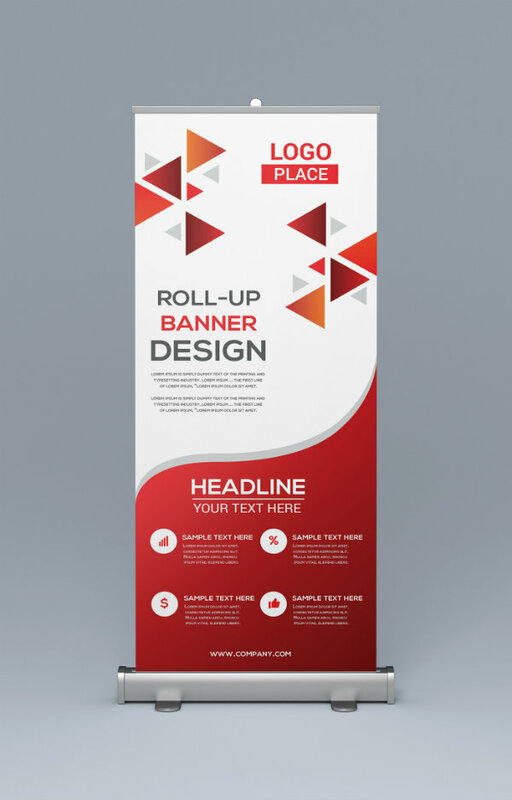 Hence, to maximize the use of the top portion of your banner, put your logo at the top. This will prompt the audience what your banner is all about and what type of industry you are into. We are taught to read from top to bottom and from left to right. This is also the case for your banners. 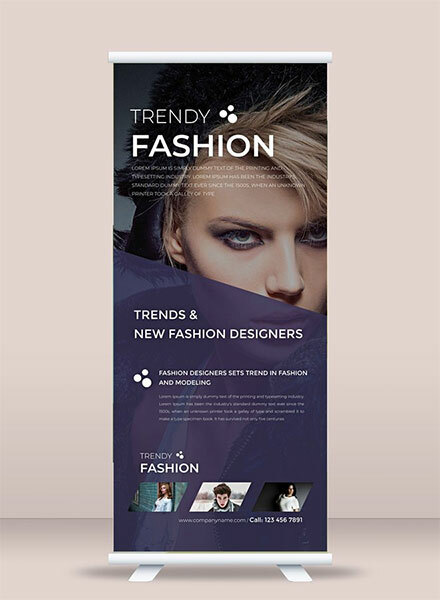 Because people read in this direction, you must also position the content of your banner in a way that the information will flow from top to bottom or from left to right. Only include those information that are relevant to your banner. As stated above, photos can grab people’s attention. Hence, add photos in your banners, but only those photos that are of high quality and are relevant to your content. 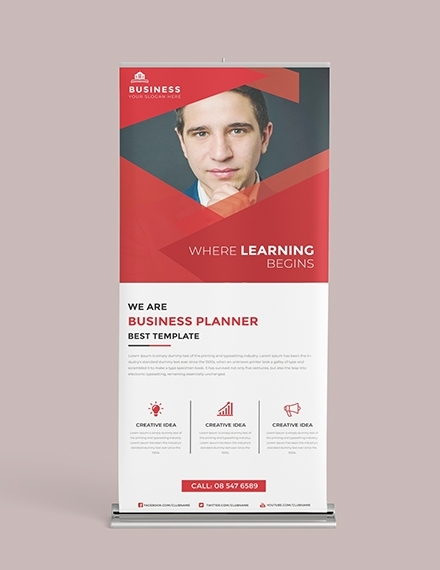 This will greatly enhance the overall appearance of your banner. Colors also play a role in your banner. To choose for the appropriate colors, you may pick from the color schemes of your logo. Usually, there are two to three main colors in a logo. You can use these colors and work on their tints and hues to come up with a presentable color combination. Never use multiple colors because this can only distract people’s attention, and some may not even bother to read your banner because of the inappropriate colors you incorporate in your banner. While images and colors grab people’s attention, your typography will help them read your banner smoothly. You must know how to arrange your letters and type the words in a way that they are not just readable but are also artistically appealing. Be careful in choosing the fonts, and only include two to three family fonts. 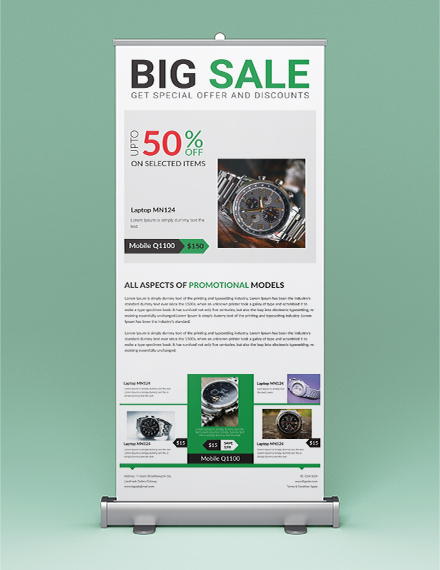 You want to please your customers even from the moment that they see your banner. 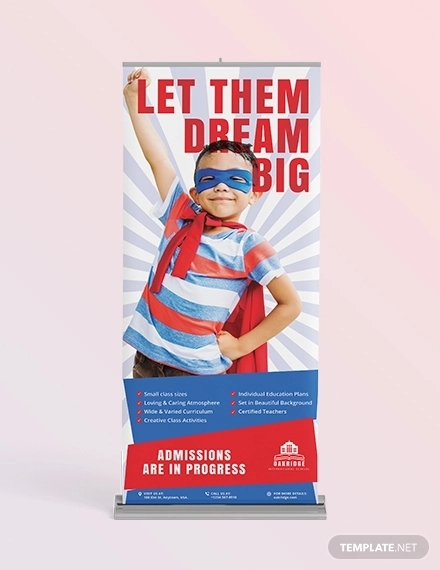 You want to provide them a lasting impression because of the design of your banner. 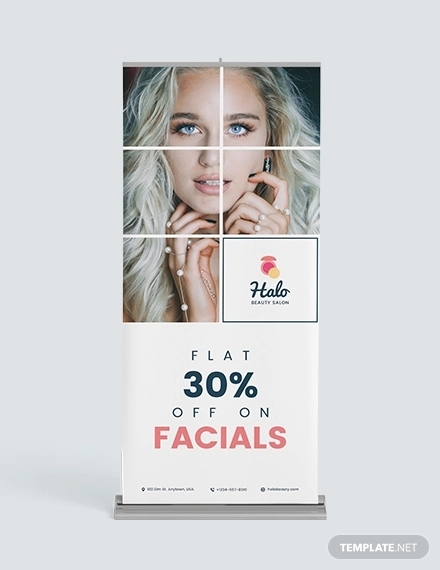 Adding aesthetics to your banner would also help the customers identify and recognize your products. It is the study of the interpretation of the brain to a certain thing whether it is beautiful or ugly. 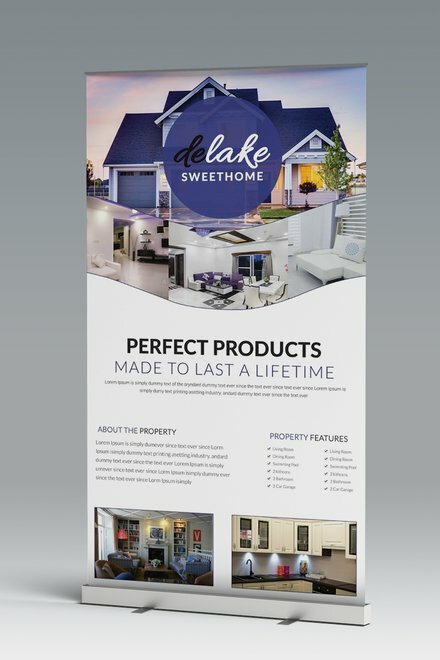 When it comes to advertising, although your roll-up banner can perfectly provide the readers the information that they must know, it must be paired with other marketing materials. A whole booth that is fully designed with marketing ads can extol your presence in the area that you are currently showcasing your products and services. 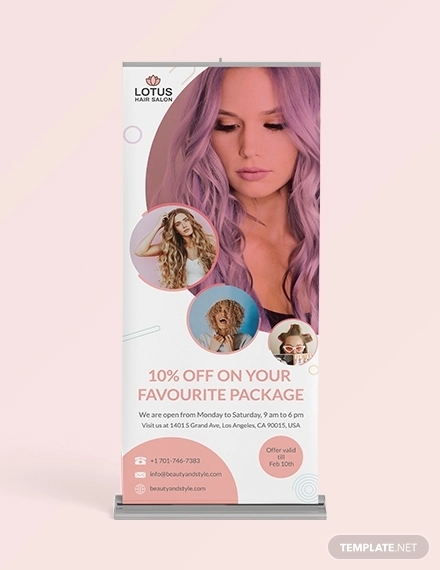 Apart from the roll-up banner, you can put items like table covers, pop-up displays, magazines, brochures, and catalogs, thus providing your customers the marketing experience that they cannot simply forget. Did your marketing generate a good amount of foot traffic? Could your area have been placed in another spot to for a maximum audience? Are all your marketing materials consistent and related with each other? Are your employee’s sales pitch the same and in accordance with your marketing materials? Do people ask about your products and services because they saw your banners? Open New Document in MS Word. Add page header by double-clicking the top area of your document. Insert graphics and pictures. You can insert pictures by clicking the Insert tab then Pictures or Online Pictures. Note that when you are using online pictures, make sure to review the specific license for the image that you want to use. Adjust the graphics and pictures. You can adjust the height and width of your picture by simple dragging the side or top and bottom arrows within the pictures. You can also adjust the pictures by clicking the Picture Tools Format tab. Add text to your banner. You can simply add text by inserting a text or Word Art in the Insert tab. Change the font style and font type. Adjust the font according to your preferences through the Format tab. Lastly, check if you incorporate all the essential elements in your banner and if there are grammatical and spelling errors. 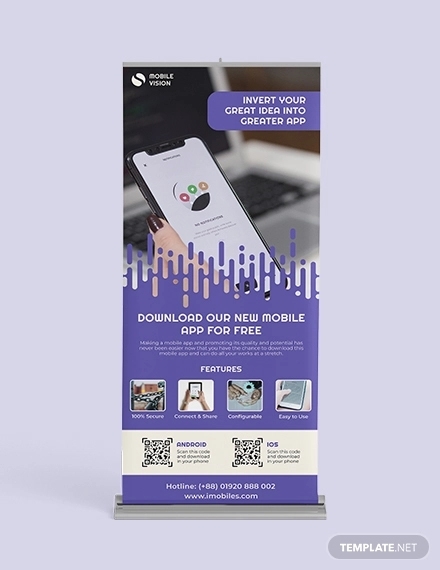 As the name suggests, this type of roll-up banner is printed on both sides, maximizing the space for marketing and making twice the impact to the readers. They are perfect for trade shows, exhibitions, retail space, and a lot more. 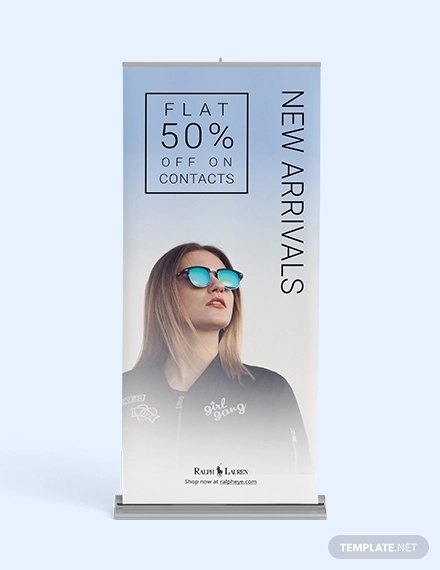 This type of roll-up banner doubles the size of a regular display banner, making the maximum impact on the minds of the audience. They are greatly helpful in highlighting and promoting a brand, products, and services. This banner uses bamboo as the main structure of the banner, making it not only eco-friendly but also sophisticated and elegant. They are convenient as they are easy to carry, install, and dismantle. 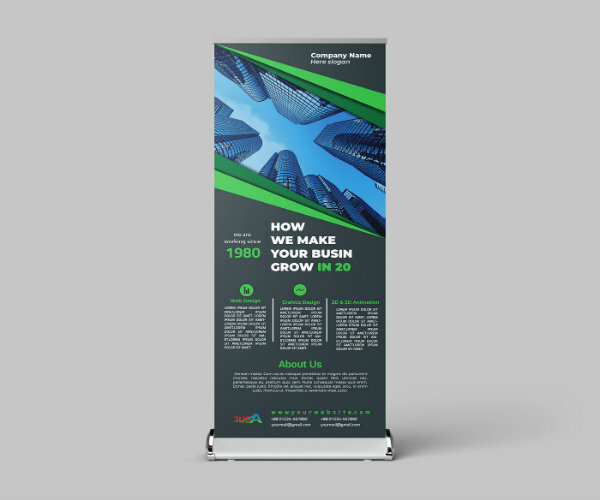 For this type of roll-up banner, the roller stands are installed with quick-change cassette, which changes the graphics one after the other. 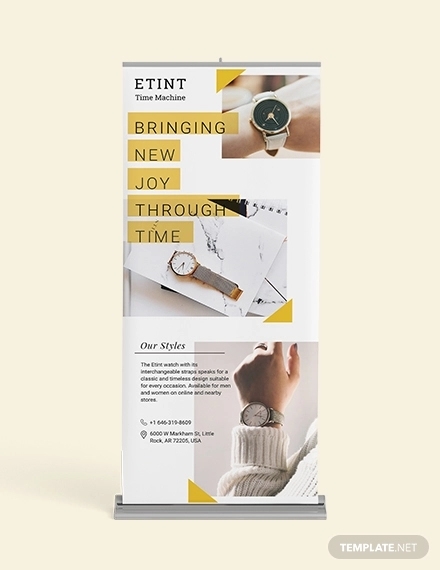 Roller banners are the most popular type of banner stand especially in marketing for trade shows, fairs, exhibitions, and many others. They are retractable, compact, convenient, and very easy to use since they can be easily set up and put down. They are usually made with high-quality materials making them durable and firm. 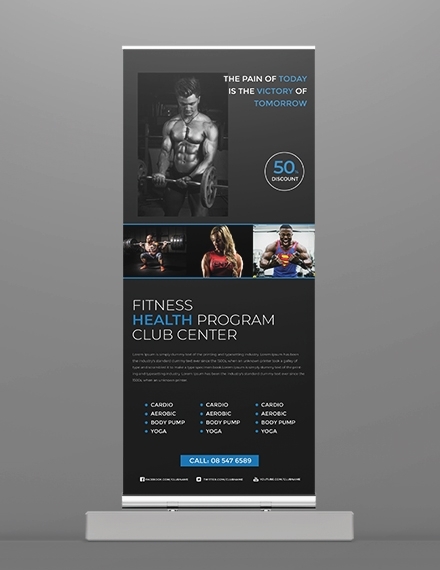 What Is a Pull-up Banner? 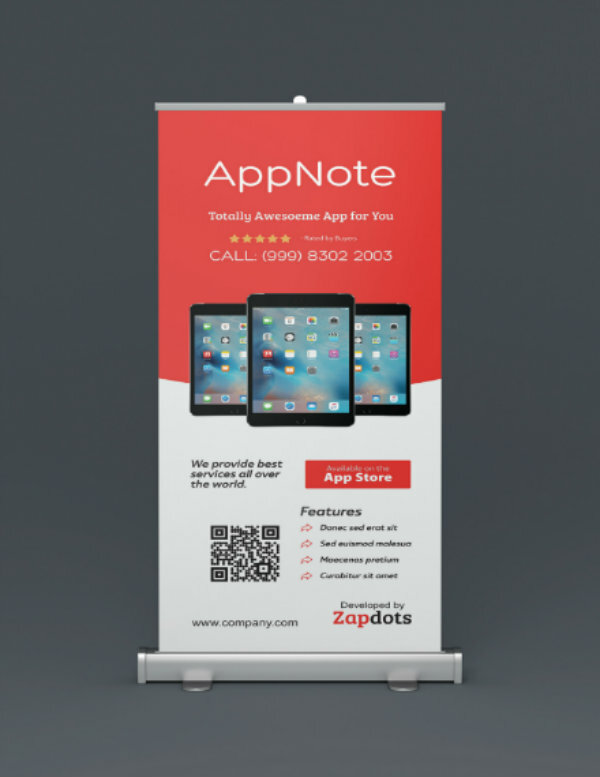 Pull-up banners are retractable banners commonly used in exhibitions or trade shows. 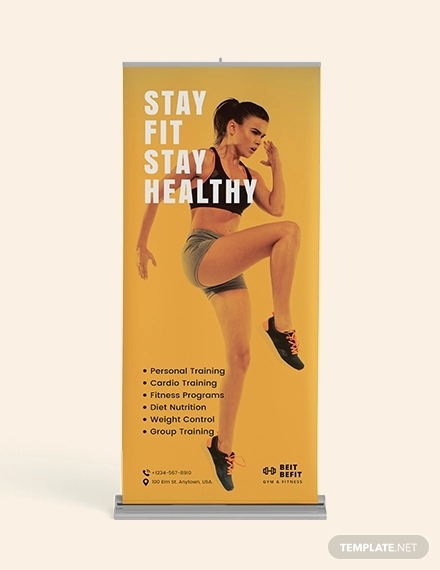 Also known as roller banners or roll-up banner stands, they are perfect in making your marketing ads stand above the competition. They can create the maximum impact when design and layout properly. Depending on certain factors, the cost of the banners will range from $20 to $150. This depends on the size which are presented above; the paper which can be paper only, laminated, with gloss finish, with matte finish, or crystal finish; and the mounting which can be foamcore, sintra, or display board. How Do I Print Banner? 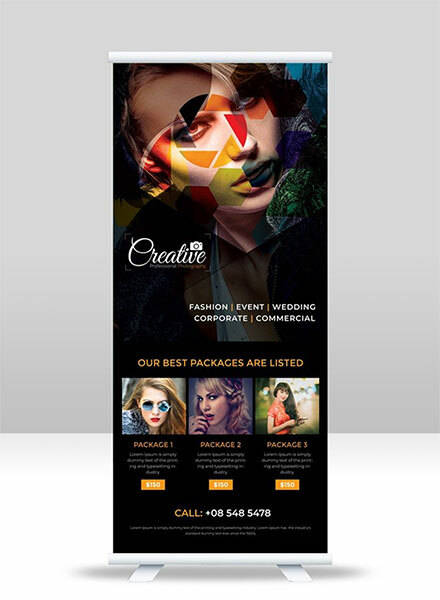 There are a lot of printing companies that would cater your banner printing needs. 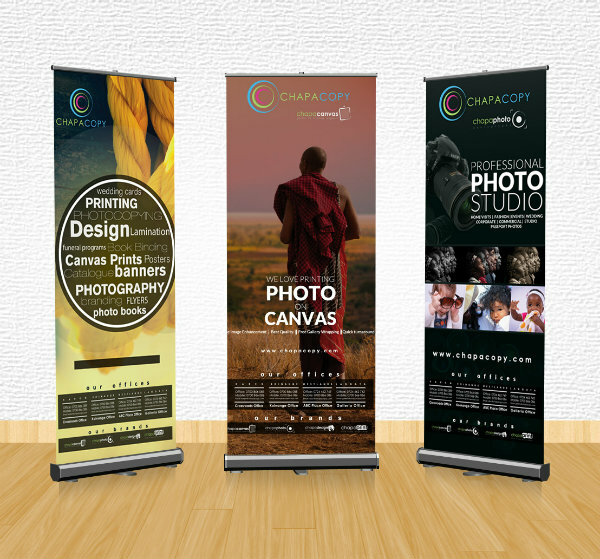 You can customize your own banner and send them to the printing companies in your locality. 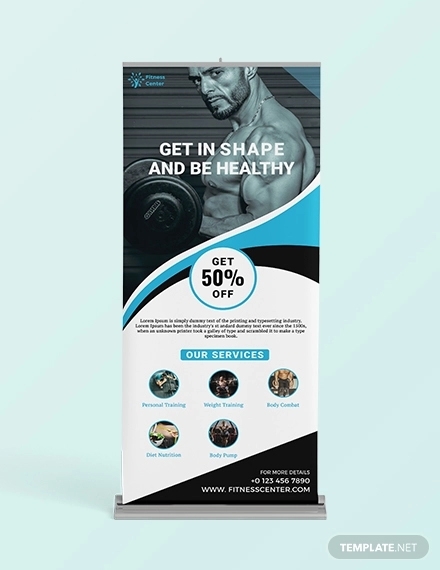 They will then ask you for some specifics regarding your banner such as the size, paper or other materials to be used, print finish, and many others. 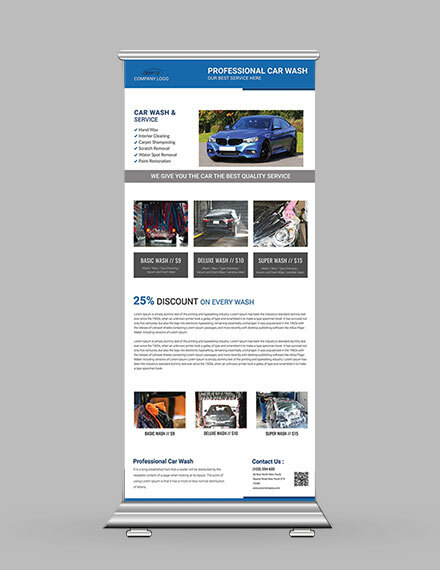 Check out more examples and templates on Template.net.